Rocket Fellas Inc is another Thunderkick online slot that brings a new experience on how Wild Symbols can boost win-chances. Configured with 30-paylines, it features 4 rocket-boosted dudes and their related power gems as reel elements. Chances of hitting payline wins get a boost from a Rocket icon that subsequently turns into a Wild Symbol. Actually, several Wild Symbols may appear if a Rocket icon emerges. That is, if a Barrel Symbol lands on the same row. Both elements become Wild Symbols that can render substitution actions for purposes of expanding, or completing a payline win. Wilds and alike icons though, must combine in the same paying line. Yet there is more to expect, because if the reel in which the Barrel-turned-Wild appeared has other Barrels on display, then they also become Wild Symbols. The best Wild transformation actions transpire during bonus rounds. A Barrel icon turned into a Wild can also become sticky; staying glued to its position until the end of a bonus round. Hope for more Barrel Symbols to turn up, as the element can also organise a winning arrangement. A convergence of 3, 4 or 5 Barrel Symbols starting from the leftmost reel, correspondingly awards 1.5x, 5x or 30x the value of the current Bet. Of the four Rocket Fellas Inc characters, the Red Rocket Fellow has the highest range of payouts. A set of 3, 4 or 5 completing a pay pattern, garners 1x, 2.5x or 15x the current Bet. It follows that his Red Power Stone has more to offer than the Yellow, Green and Blue low-win varieties. Red Power Stones combos correspondingly award 0.20x, 0.50x or 3.5x the current Bet. Wild Symbols initially land on reels, either as a Rocket Symbol or a Barrel Symbol. The latter though, turns into a Wild Symbol only if it lands on the same row in which a Rocket Wild appeared. Rocket Wilds take position only in the first or the leftmost reel. Once in view, it is certain to undergo transformation as Wild Symbol. It is also possible for a spin to yield more than one Rocket Symbol in Reel 1; all of which will turn into Wilds. Barrel Wilds materialise only if a Barrel Symbol occurs in the same row in which a Rocket Wild appeared. Now if there are other Barrel Symbols present in the reel in which the Barrel Wild appeared, they too will undergo transformation as Wild elements. In free rounds, the Barrel Wiid aligned with the feature-triggering Rocket Wild, will become a Sticky Wild as well. It is possible that 3, 4 or 5 Wild Symbols may organise as payline contents after all Rockets and Barrels became Wild icons. If by chance they do so, the event pays out a reward based on the Paytable Values of the Barrel Symbol. 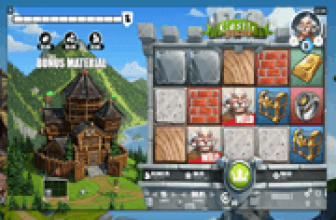 Bonus Symbols simultaneously in view anywhere in the grid, set off a round of free games. 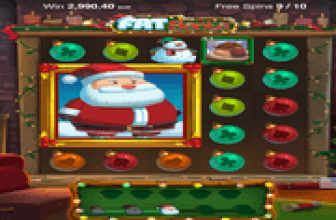 A scattering of 3, 4 or 5 Bonus Symbols in any row or reel, awards 10, 15 or 20 Free-Spins, respectively. If appearing thereafter, Bonus Symbol combos may extend a free round. This time, at least 2 Bonus icons emerging as bonus spin outcomes, add 3 Extra Free-Spins. Still, 3 or more is better, as the number of extra Free-Spins generated will accordingly be 10, 15 or 20. Sticky Wild Symbols may flourish across reels and throughout a bonus bout, if more than one Barrel icon takes form as a Sticky Wild Symbol. Although other Barrel images may also turn into Wilds, only those aligned in the same row occupied by Rocket Symbols, become Sticky Wilds during free rounds. 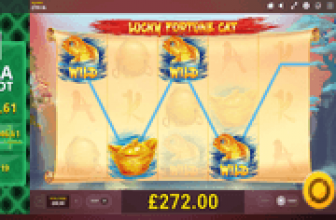 Rocket Fellas Inc online slot has 3 main symbols to offer as special reel elements. One is a Rocket icon that lands only in Reel 1 but certain to turn into a Wild Symbol. A Barrel Symbol is also special because if it lands on the same row in which a Rocket Wild emerged, it also undergoes transformation as Wild element. Greater still is that the feature can also turn other Barrel icons positioned in the same Barrel Reel. If occuring in free rounds. Rocket and Barrel Symbols present in the same row, will turn the Barrel Symbol into a Sticky Wild that remains in place until the end of a bonus bout.